Texas Hold’em is the world’s most popular poker game, in both live casinos and online. 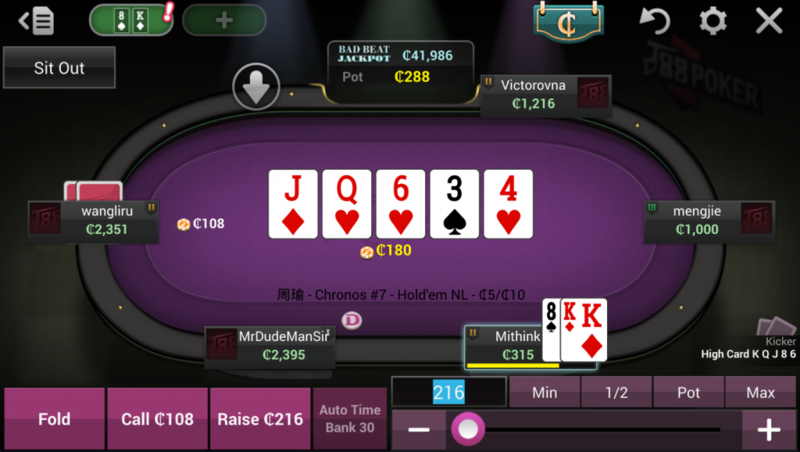 By combining user’s two hole cards with five community cards which all players share, whoever makes the highest combination wins the game. 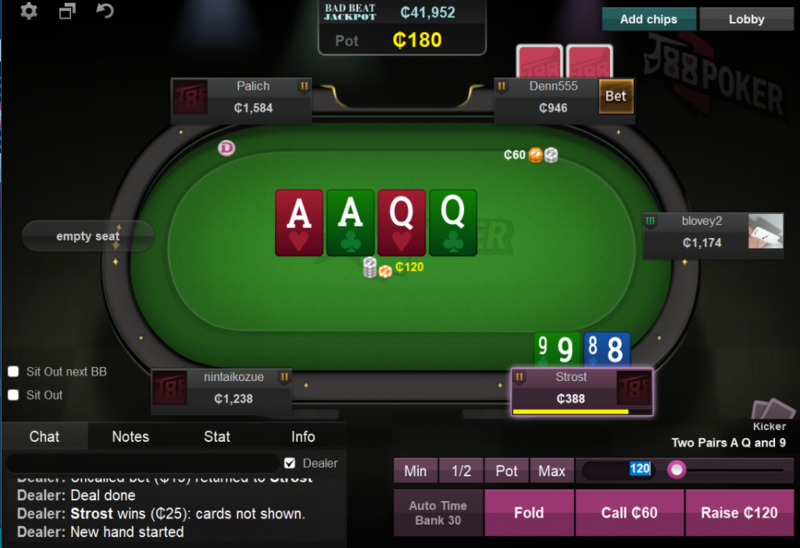 J88poker supports both 6 players’ & 9 players’ table games.